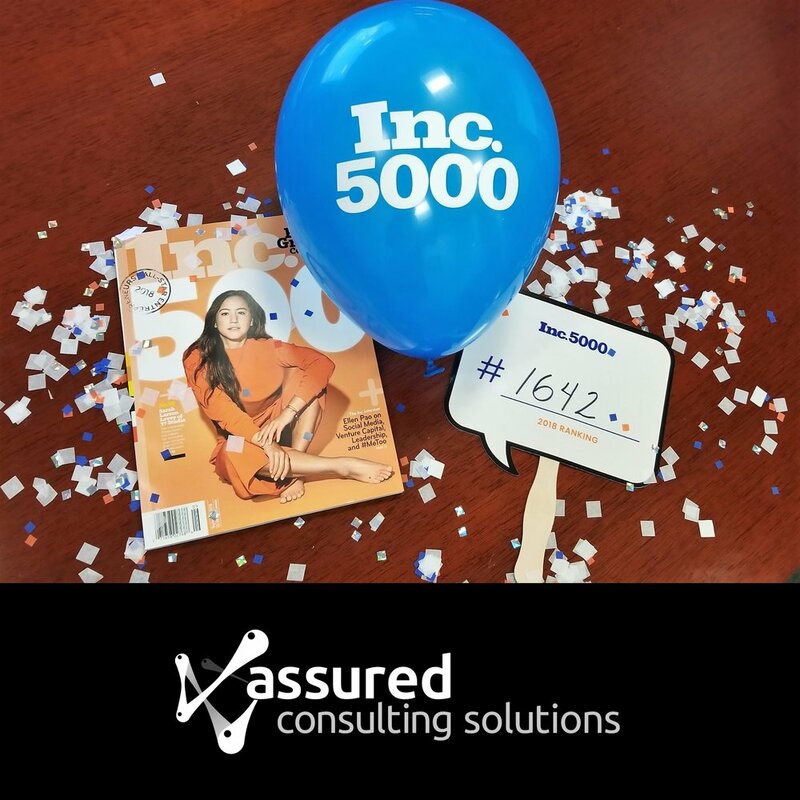 RESTON, Va., Aug. 15, 2018 -- Inc. Magazine today ranked Assured Consulting Solutions (ACS) number 1,642 on its 37th annual Inc. 5000 list, the most prestigious ranking of the nation’s fastest-growing private companies. With three-year revenue growth of 281%, ACS ranked in the top third of all honorees. Locally, ACS ranked 117 out of 321 Inc. 5000 honorees based in the Washington, D.C., metro area. Founded in 2011 by Managing Partners Erin Willett and Mandy Parmer, ACS embodies the innovative and entrepreneurial spirit that defines the Inc. 5000 list. Since its establishment, ACS has delivered progressively innovative and advanced technology solutions and services in support of the critical national security missions for Intelligence, Defense, and Federal Civilian customers. The Inc. 5000 list represents a unique look at the most successful companies within the American economy’s most dynamic segment -- its independent small and midsized businesses. Companies such as Microsoft, Under Armour, Facebook, Timberland, Vizio, Intuit, Chobani, Oracle, Zappos.com, and many other well-known names gained their first national exposure as honorees of the Inc. 5000. Founded in 2011 and headquartered in Reston, Va., Assured Consulting Solutions is a well-respected and trusted partner, domain expert, and provider of expert-level support. ACS is a certified Economically Disadvantaged, Woman-Owned Small Business (EDWOSB) that delivers advanced technology solutions and strategic support services in support of critical national security missions for Intelligence, Defense, and Federal Civilian customers. Learn more at www.assured-consulting.com. The 2018 Inc. 5000 is ranked according to percentage revenue growth when comparing 2014 to 2017. To qualify, companies must have been founded and generating revenue by March 31, 2014. They had to be U.S.-based, privately held, for profit, and independent -- not subsidiaries or divisions of other companies -- as of December 31, 2017. (Since then, a number of companies on the list have gone public or been acquired.) The minimum revenue required for 2014 is $100,000; the minimum for 2017 is $2 million. As always, Inc. reserves the right to decline applicants for subjective reasons. Companies on the Inc. 500 are featured in Inc.’s September issue. They represent the top tier of the Inc. 5000, which can be found at http://www.inc.com/inc5000.